As you know, the crucial vote on the reform of the European Parliament takes place tomorrow, Wednesday. The main point of controversy is the introduction of a pan-EU constituency for which a certain number of MEPs would be elected from transnational lists. As the former rapporteur for the dossier in the preceding mandates, and as the President of the Spinelli Group, I am writing to ask that you vote in support of the AFCO report – and reject all amendments aimed at deleting the proposal of transnational lists. I am not sure we can put up with many more elections to the European Parliament that do not reflect the EU dimension. 27 national elections about mainly national issues run by national political parties for their own national purposes do not serve well the interests of the European citizen or the Union we are committed to building together. The main criticism of the AFCO proposal, even from certain federalists, seems to be that it would open the door of the Parliament to more populists. That is not, in my view, a justified anxiety. Indeed, the main purpose of introducing a federal element into the electoral system is to build up the capacity and credibility of the European level political parties to organise themselves, both in the electoral campaign and beyond, to become genuine political parties connecting the citizen with those who exercise power at the EU level. It is the absence of the essential democratic sinew of the EU political parties that has left our European parliamentary democracy half-baked and, frankly, unpopular. Populists will not be willing or able to organise themselves across the national frontiers which they seek to defend: nationalists hate transnational lists! Some MEPs from smaller countries fear that they would have no chance of success in being elected from a transnational list. But the EU political parties would be crazy not to organise their lists in such a way to reflect the diversity of our European Union in terms of gender and geography. Other arguments against the reform are essentially baseless, even spurious. The vote tomorrow will open the way to the establishment of the legal base in primary law (the 1976 Act) without the need to change the EU treaties. The European Council is preparing to discuss Parliament’s proposal on 23 February. The Treaty of Lisbon gave the European Parliament the right of initiative to re-apportion seats in the House as well as to reform the electoral system. Brexit, which of course I much regret, gives us an amazing and unexpected opportunity to improve the fairness of the distribution of seats between the states (without any state losing an existing seat), to introduce the federal element of transnational lists and to reduce the overall size of the House. In these circumstances, I fear that not to seize this opportunity will diminish the legitimacy of the European Parliament. 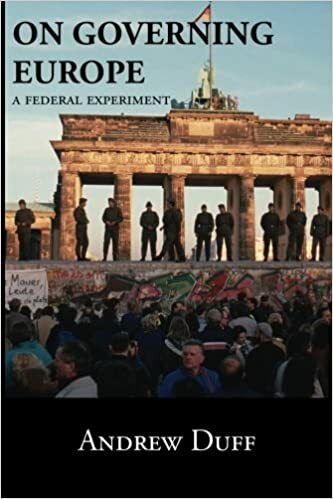 It will certainly call into question the continuation of the Spitzenkandidaten experiment which, one recalls, we introduced in 2014 to compensate for the failure at that stage to introduce transnational lists. Good luck with the vote tomorrow.